What better place to find your new furry friend than Orphans of the Storm®? The dogs here are ready to celebrate spring by turning a new leaf and joining a new family! 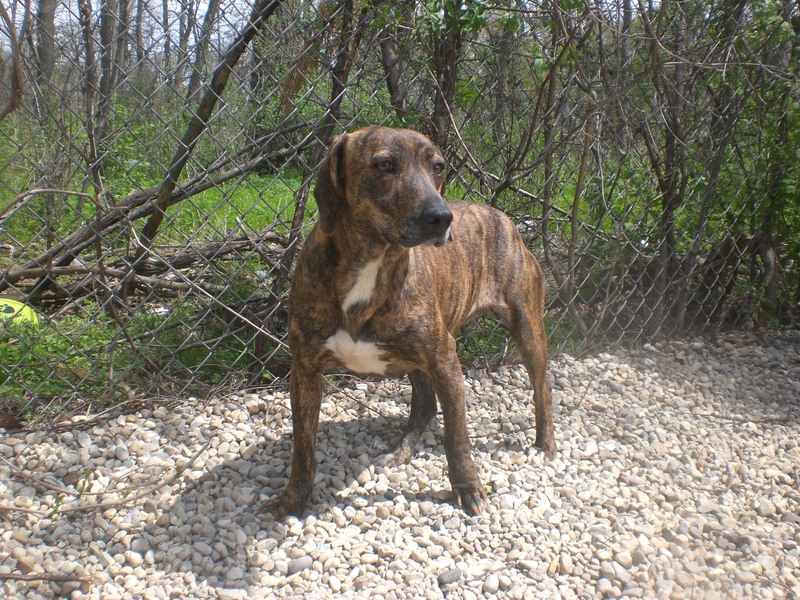 Melody the three-year-old Plott mix is quite the sweetie. I believe she’s already visited Orphans of the Storm®’s location at Northbrook Court a couple times, which means she gets along with pretty much everybody and knows how to work a crowd! Melody is very calm and gentle, so walking her on a leash is a breeze. After she spends a few minutes getting to know you, she’ll happily give you a quick doggy kiss. Melody is one of those dogs who causes people to say, “How sweet!” At least three people said that to us (her) while we were out and about. Melody’s one burst of energy came when she suddenly decided to race the dog in the off-leash run next to ours. She only went back-and-forth a few times and then settled down again. This cutie is ready to be showered with love and attention. Come in soon to meet Melody! 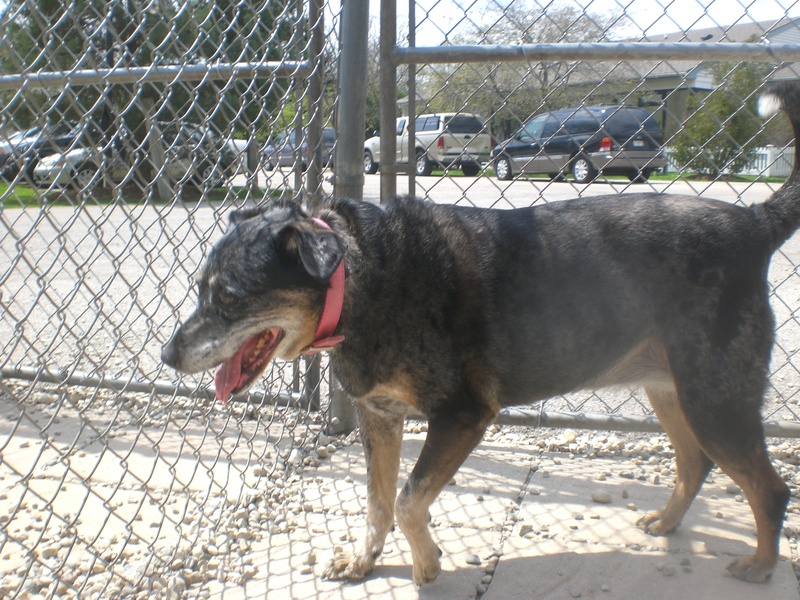 Abby the seven-year-old Australian Cattle Dog mix might look familiar to those of you who have been following the blog for a while. Abby (previously known as Roxie) was adopted from Orphans of the Storm® a couple years ago, but her adopted family is moving and can’t take her with them. 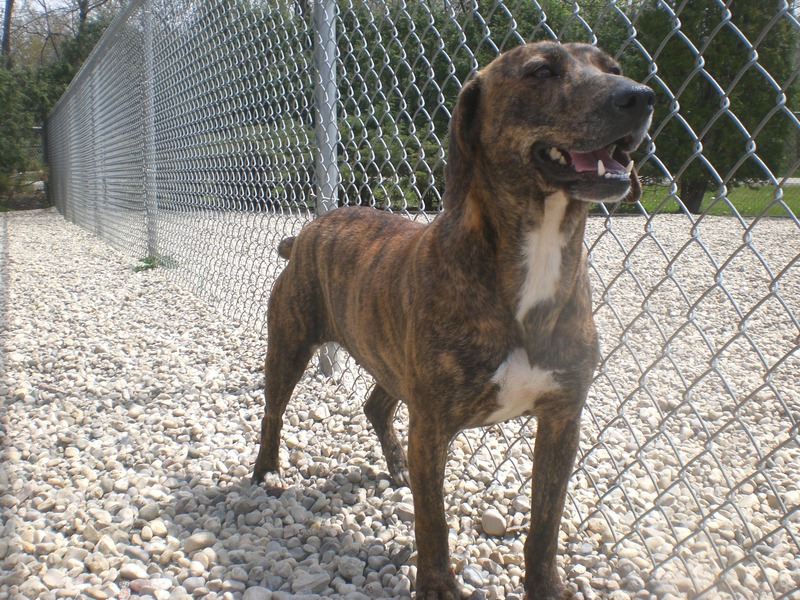 So, Abby is back at the shelter and ready to join a family that will be able to keep her furever! Abby moves a little more slowly than she used to, but she is still a great walking companion who enjoys spending time outside. She loves to sniff and explore the scenery. 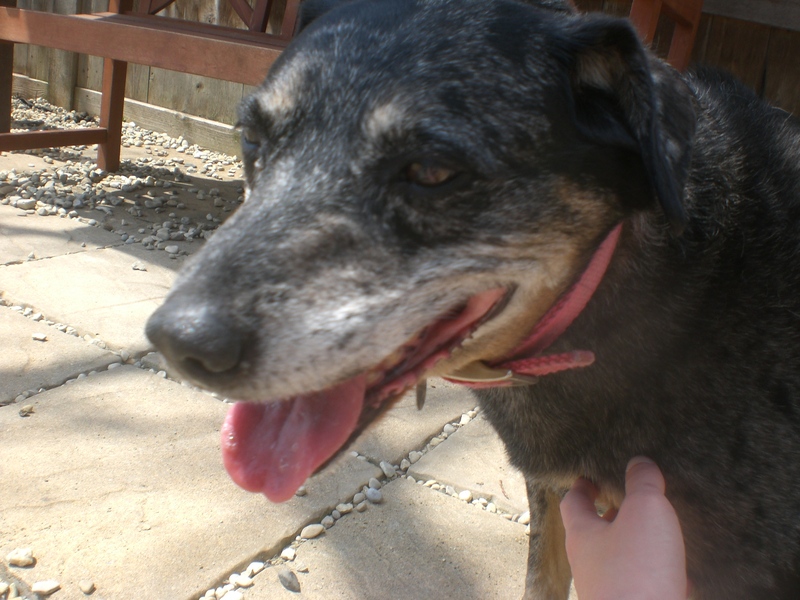 According to her previous owners, she is good with kids–which makes sense, because she is so gentle. Abby is just as sweet and well-behaved as I remembered, and she’s eager to get another chance at finding a permanent home. 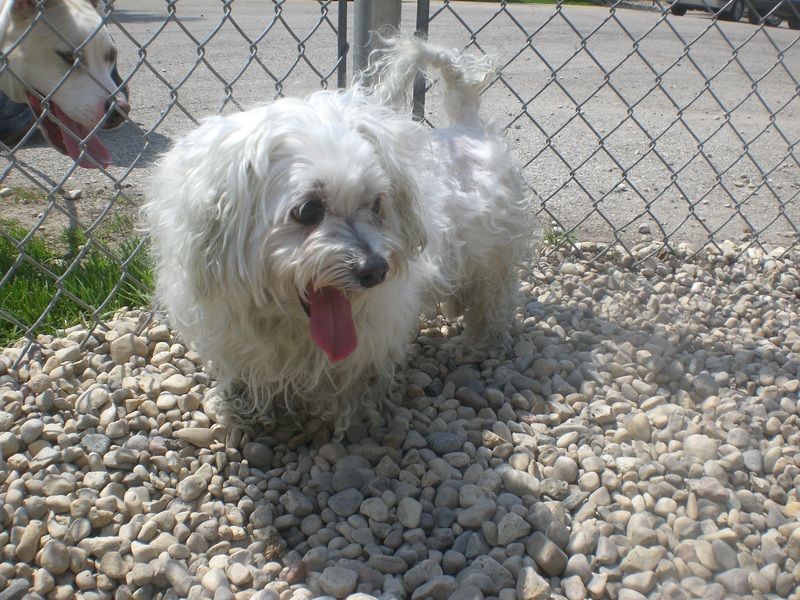 If you think that home might be yours, come in soon to meet Abby! 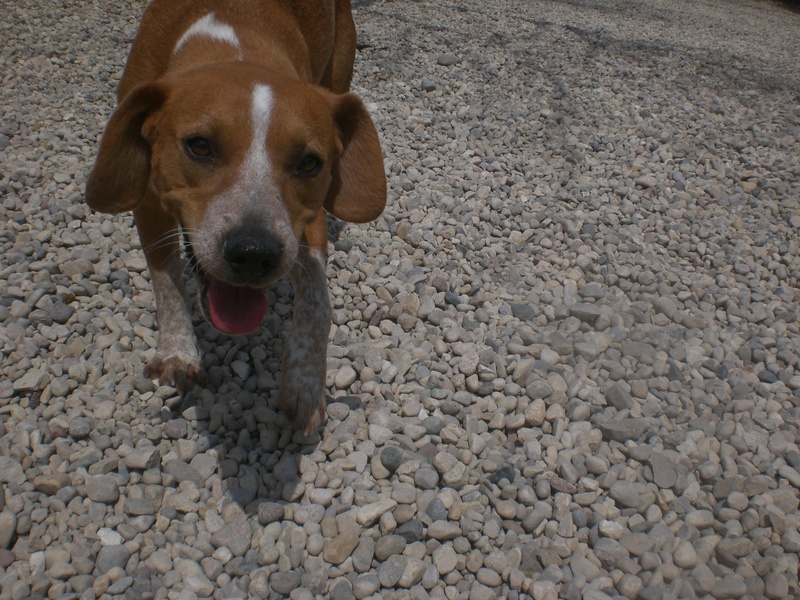 Sandy the one-year-old Beagle mix is still very much a puppy, in all the cutest ways. She looks adorable and acts adorable, which is a winning combination. Sandy was a little bit skittish when we first headed out for a walk, ducking at any strange noises and sort of scurrying rather than walking, but once she got used to the concept, she perked up and had a good time being outside. Sandy does what I’ve determined is a puppy move: If she gets confused or overwhelmed, she just stops and sits down. (A couple younger dogs I’ve walked at the shelter have done the same thing.) Since she’s still young, she could certainly benefit from some training, so I made sure to give her plenty of praise for sitting. Sandy also loves to snuggle and will attempt to curl into your lap if given the opportunity. She enjoyed romping around the off-leash run and wanted to play with any other dogs we saw. If you’re looking for a cute puppy, stop by soon to meet Sandy! Ozzie the ten-year-old Miniature Poodle mix is the cutest little thing. He has a funny haircut at the moment because his fur is a bit matted, but I can only imagine how adorable he’ll be after he gets a good bath and grooming. Ozzie wasn’t too sure about the leash at first, but after some encouraging from his kennelmate JuJu (see below), we were able to make our way over to the off-leash run. Ozzie is super affectionate. Whatever part of you he can reach, you can be sure he’ll cover in doggy kisses. This includes ankles, shins, and arms. Ozzie also likes to stick by his person’s side. Anytime I started to walk somewhere in the off-leash run, Ozzie would trot along right behind me. Ozzie might be classified as a senior because of his age, but he still has plenty of love to offer his new family. 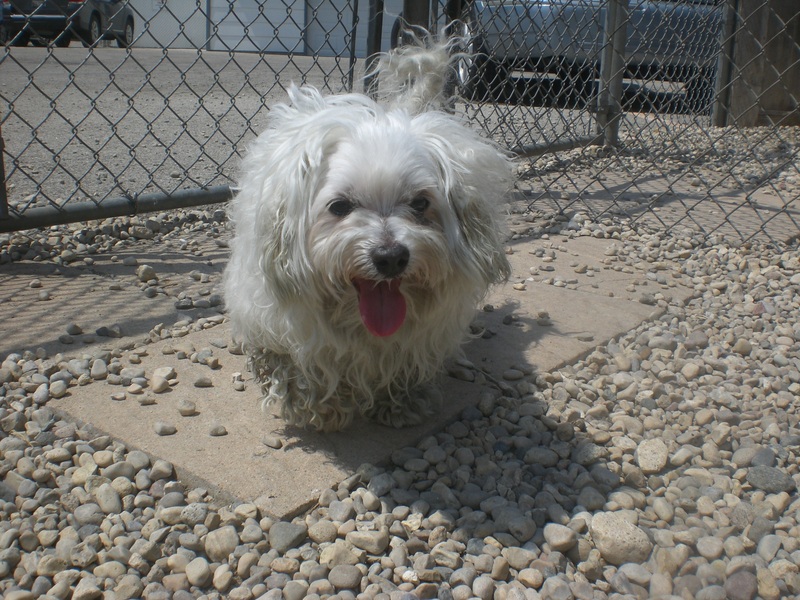 Come in soon to see if Ozzie is the one for you! 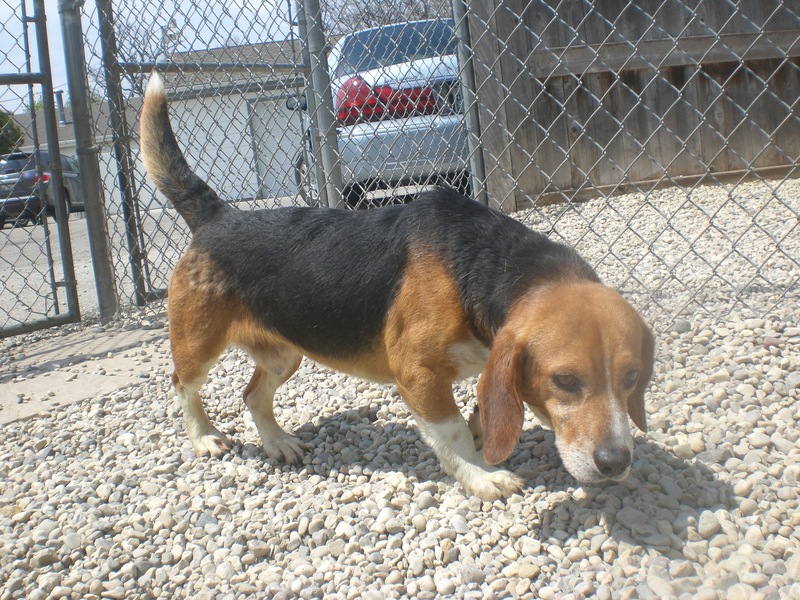 JuJu the four-year-old Beagle mix has come a long way over the last month or so he’s been at the shelter. The first time I tried to walk him, he was shaking all the way down to his little paws and wouldn’t budge. This time, when I went inside his kennel to put the leash on, he hopped right into my lap and was more than ready to go for a walk! Think of what a difference it would make for him to be in a loving, stable home. JuJu might still be a little skittish, but he does love getting plenty of attention. As long as you’re petting him, he’ll stay by your side and give you a happy doggy smile. JuJu gets along well with other dogs, since he used to share his kennel with Arnold (who has since been adopted, hurray!) 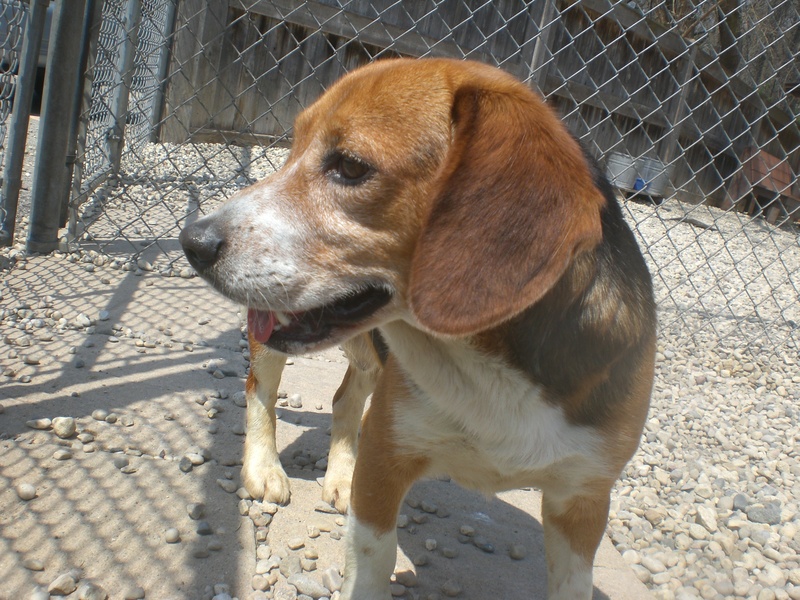 and is now sharing his kennel with Ozzie (see above), so he could go to a home with or without another furry friend. JuJu would also probably do best in an adult-only home. Stop by the shelter soon to meet JuJu! I also saw Tulip (who greeted me with a big doggy hug), Shasta (who is so sweet and easy-going), and Blush (who loves going for walks more than anybody). 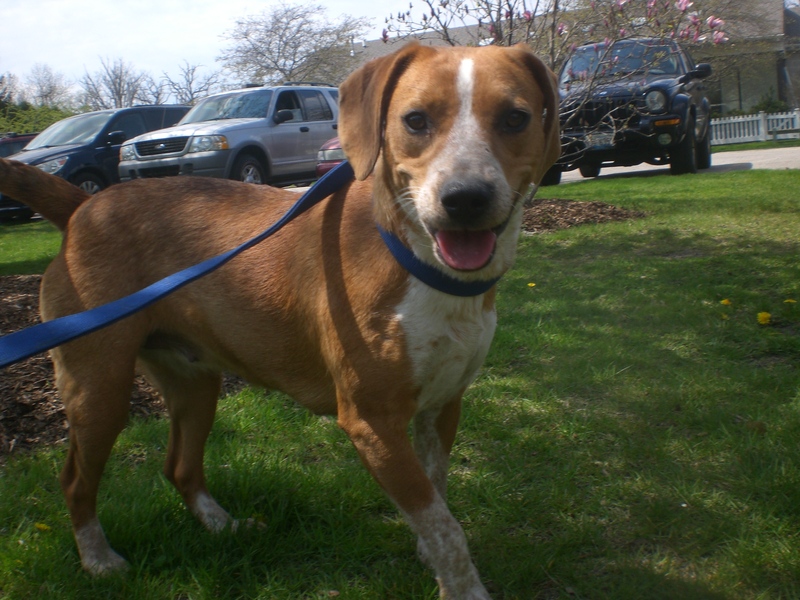 Posted by Meet the Pooches on May 6, 2015 in Dog Profiles and tagged adopt, animal shelter, animals, Australian Cattle Dog, Beagle, Chicago, dogs, Orphans of the Storm, pets, Plott, poodle.